It takes a lot of fresh, ripe tomatoes to make a Fresh Tomato Bloody Mary—about half a pound per cocktail, so it's really only worth doing at the height of the tomato harvest when tomatoes are both super flavorful and relatively inexpensive. Is a simple cocktail worth all the effort? To my mind, absolutely it is. The fresh, bright flavor will knock your socks off when compared to commercial mixes, which are made using cooked tomatoes. Using a fresh chile also adds plenty of aromatic punch. Choose one that's as mild or spicy as you like, or leave it out if you don't like that kind of heat. While vodka or gin add a nice kick to these, they are also delicious left alone as Virgin Marys. Roughly chop the tomatoes, shallot, and chile. In a blender or food processor, whirl them until smooth, at least 1 minute to get everything puréed. Do this in batches if necessary. Run the pureed mixture through a sieve or food mill for a smoother texture. Add the lemon juice. Stir to combine, and add salt, pepper, hot sauce or horseradish, and more lemon juice (or anything else!) to taste. 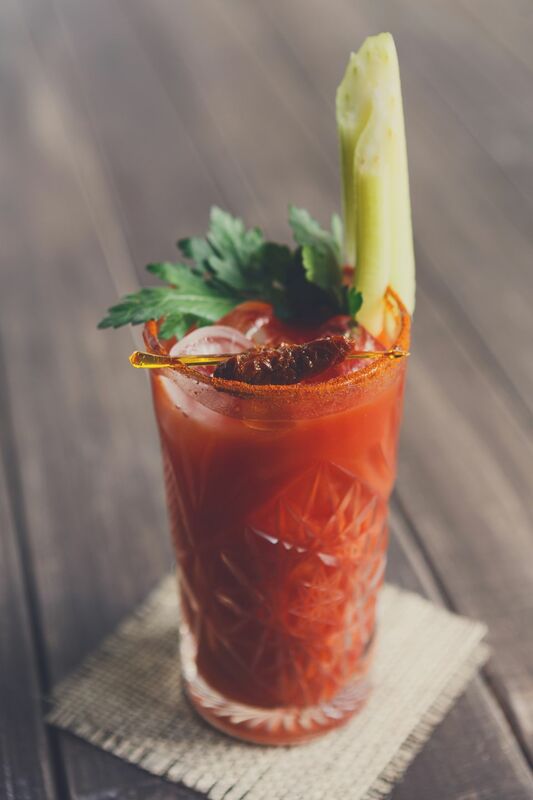 Tasting is key to end up with a cocktail that meets your ideal version of a Bloody Mary. Pour the juice into 2 to 4 glasses, add 2 tablespoons (or more! no judgment here!) vodka or gin into each glass, if you like, and stir to combine. Garnish with celery stalk and/or pickled green beans. It is well worth taking the time to infuse a batch of Horseradish Vodka a few days ahead of pouring these cocktails; it adds a fabulous extra kick to these cocktails. Make sure you use a premium brand alcohol such as Ketel One vodka or Beefeater Gin to maximize flavor.